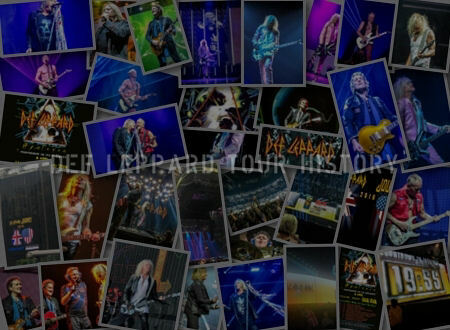 Def Leppard singer Joe Elliott has been interviewed ahead of the band's debut at Rock In Rio on 21st September. Joe spoke with Istoe recently ahead of the Rio visit. He talked about their proposed January 1985 visit to the original festival that was cancelled, Rick Allen's accident, tribute bands, the 1997 Brazil shows and how much he is looking forward to the 2017 show. 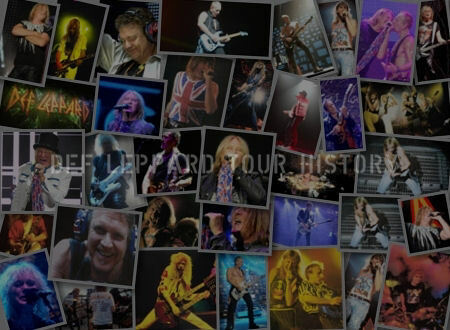 Def Leppard will perform before Aerosmith on 21st September at 10:35pm local time (2:35am UK time 22nd Sep). 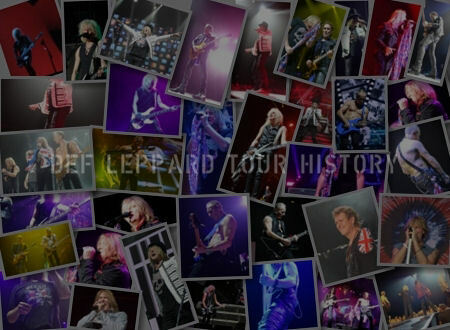 The LiveXLive website is currently streaming performances from the festival however Def Leppard are NOT currently listed on their schedule for Thursday despite being included in the press release shown below. It began on 15th September with a headline performance by Maroon 5 who stood in for Lady Gaga ahead of their own scheduled 16th September show. The festival continued last night with Justin Timberlake headline performance which was not streamed. It's possible, as with many festivals, that certain acts are opting out of live streams. DL themselves only opted to have two songs streamed at Download 2008 where most other acts had their entire sets broadcast. Joe did seem to have a cold or sore throat on his radio show at the weekend which could also account for DL not being on the stream schedule. The show was confirmed on 29th March as part of the 8 date South American tour. Def Leppard had been due to play the original Rock In Rio festival in January 1985 at two shows supporting AC/DC and Queen. They pulled out before Rick's car accident to continue working on 'Hysteria'. They were announced to perform on 11th January 1985 playing before Iron Maiden and headliners Queen. Then for a second show on 19th January 1985 before Scorpions and headliners AC/DC. The Queen shows on 11th and 18th January of that year attracted crowds of over 250,000 people. Def Leppard were replaced by Whitesnake. The first time at this famous festival. Rio last played in April 1997. "I thought it was the end of everything. 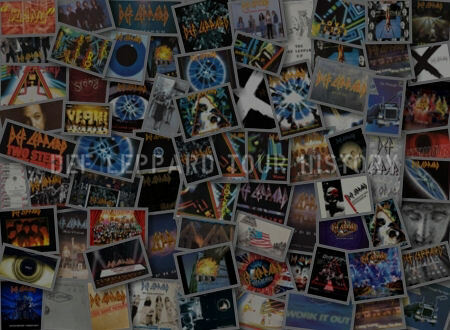 I could not see Def Leppard without Rick on the sticks. I think he has a history of overcoming that serves as an example for many people who complains full time. Rick is a much better drummer now, with just one arm, than before, with both." "Rock in Rio was cancelled before the accident, if I remember correctly. We had not started recording. Everything was very chaotic and late. I remember that several presentations in the United States ended up being cleared, but in Brazil the thing happened for other reasons." "I remember that the presentations in Brazil had a wonderful energy. I do not remember how many people showed up there to be honest. I have few memories. There were many presentations around the world. It gets difficult (laughs). 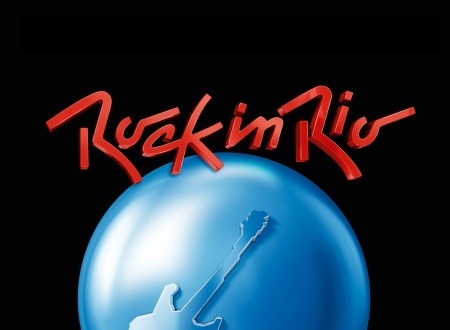 Rock in Rio is a fantastic festival, one of the most famous. I'm sure it's going to be awesome. We'll play the same day as Aerosmith. The wait will be worth it!." "LiveXLive Media, the premiere digital network devoted to live music and music-related video content, will be livestreaming performances from both weekends of the Rock in Rio Music Festival. Beginning with weekend one on Friday, September 15, through Sunday, September 17, and continuing with weekend two from Thursday, September 21, through Sunday, September 24, fans worldwide can tune-in to LiveXLive.com to watch live performances from some of the biggest artists in music." "This year marks the 18th edition of Rock in Rio, one of the largest music festivals in the world, and the third year of the LiveXLive streaming partnership. The livestream will feature performances from artists such as Maroon 5, Alicia Keys, Aerosmith, Red Hot Chili Peppers, 5 Seconds of Summer, Shawn Mendes, Fergie, Thirty Seconds to Mars, Def Leppard and more."